You might have heard or at least seen a jaw dropping photo of one of these 6 villages, or you might have not. Some of them must have been on your bucket list for a while, but if they aren’t, I am certain they soon will be. 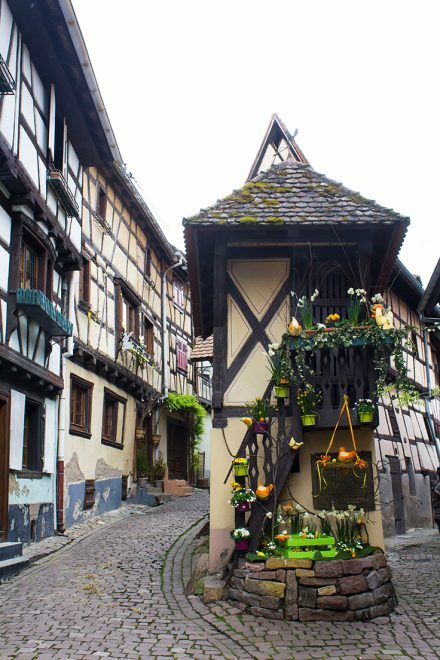 For the fairy tale lovers, the Alsace wine route will leave you breathless and make you fall in love with each one of its villages. Maybe then, you will agree with me that this route should also be called “the fairy tale route”. 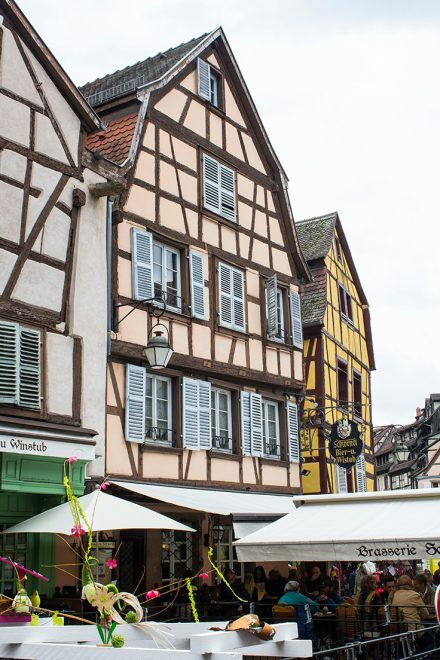 I had previously visited Strasbourg a few years back, but never really got the chance to explore the villages along the wine route until a couple of weeks ago. W., Enzzo and I packed our bags during the Easter break and after a few hours we were checking in at a B&B in Ribeauvillé, a place I never heard of until I was booking our accommodation. What we didn’t know was that this would be one of our favorite villages along the wine route. 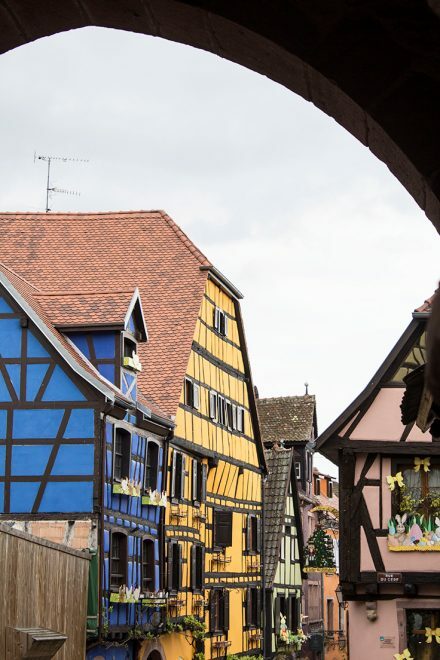 In 3 days we had the opportunity to visit 9 villages, including the popular Colmar. 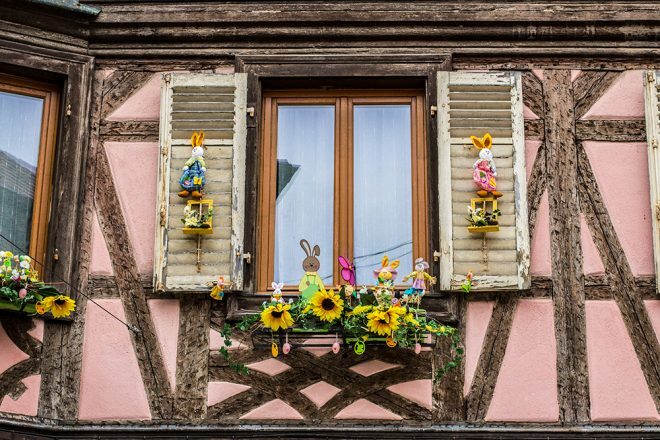 If you don’t even know where to start your visit, here is our suggestion of 6 fairy tale villages worth the visit in Alsace, plus a few tips, of course, to make the most of your trip. 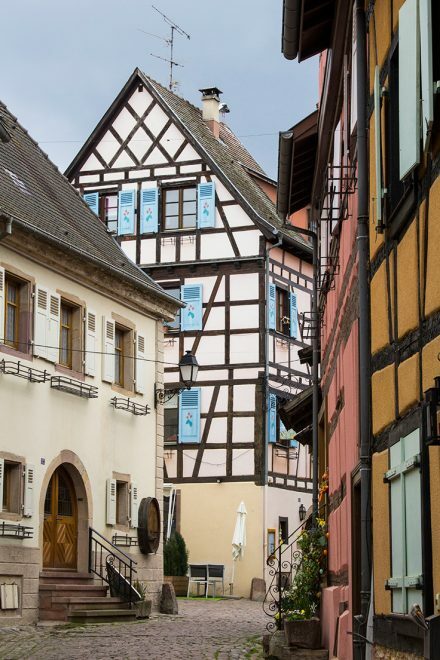 You would be surprised by the beauty of Obernai. It was the village that surprised us the most, maybe because our expectations weren’t so high until we sat foot there. 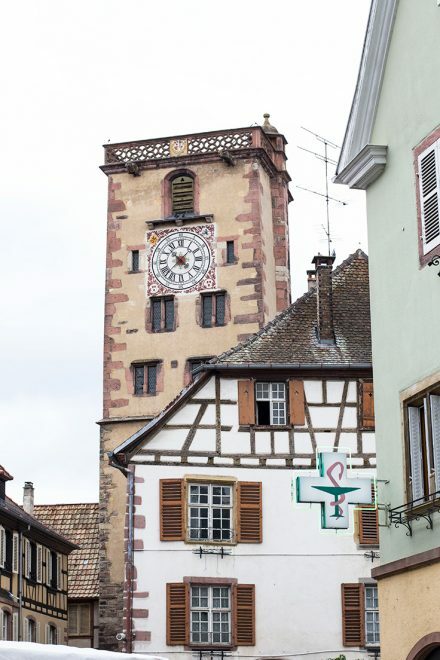 Its main street is filled with restaurants and cafes, its church Saints Pierre & Paul is beautiful, and its tower located right in the heart of the village, is its charming post card. For more information on Obernai, visit the city’s official website. The village, which we chose as our base, couldn’t be prettier. 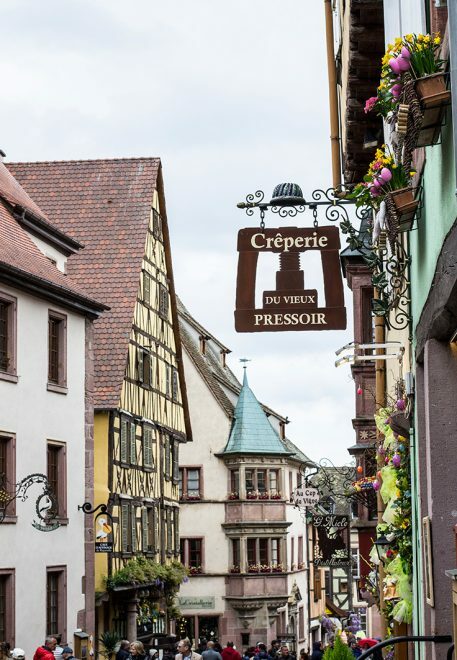 Ribeauvillé is impressively beautiful, and you feel like walking on a real fairy tale. On the weekends it’s possible to enjoy an open market in the Town Hall Square, and wandering around it’s narrow streets means to have a nice surprise on each corner. For more information on Ribeauvillé, visit the city’s official website. 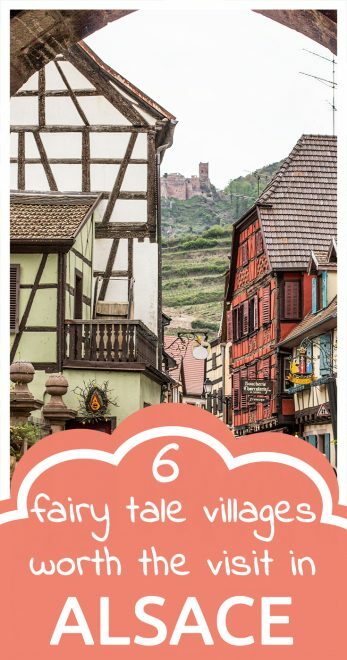 Our favorite village of all 6 listed here, and of all the 9 we managed to visit, no wonder it was once chosen as the French’s favorite village. 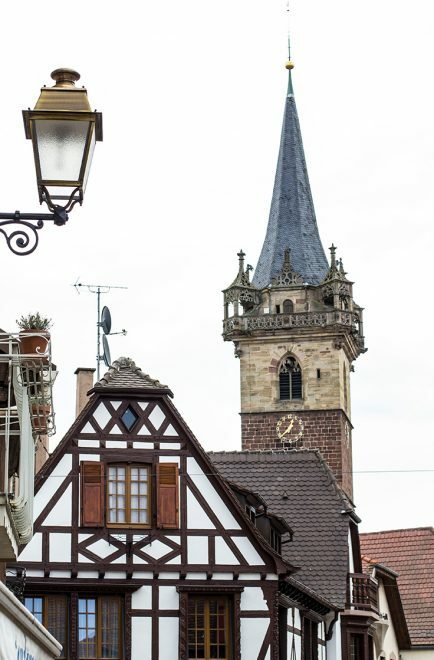 Éguisheim is the real fairy tale, even the most perfect picture can’t show you beauty enough. The village can be visited in circles, where the center is the main square. 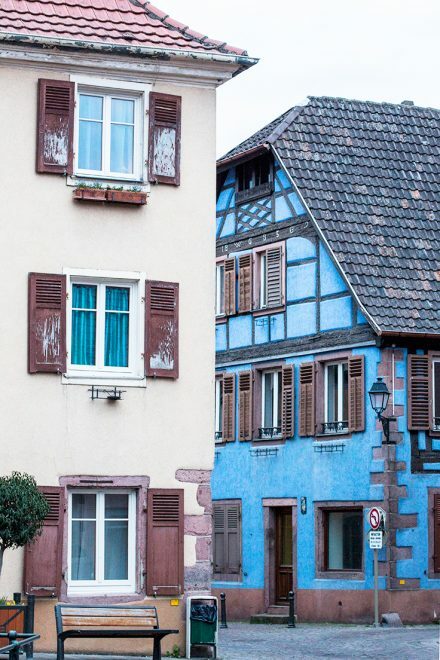 There are endless colorful and special houses, each window a surprise. I could have stayed an entire day here, even though 2 – 3 hours is more than enough to see and enjoy the village. 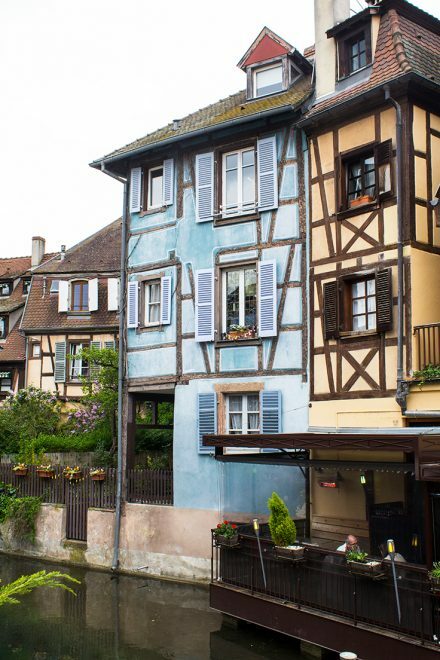 For more information on Éguisheim, visit the city’s official website. 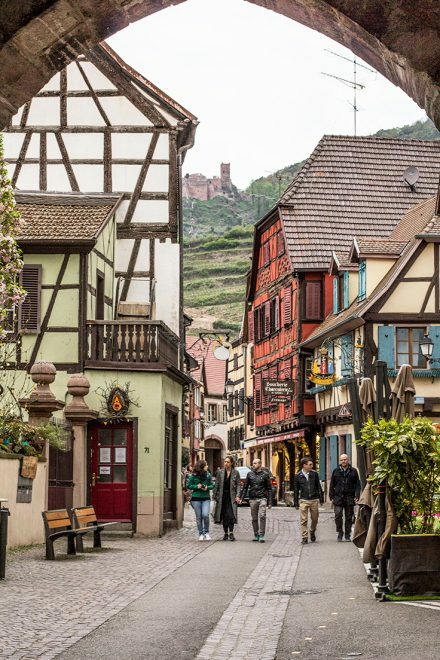 This tiny village is among the most popular in Alsace (could we blame it on Pinterest?) and its main street is packed with tourists coming from every where. It was one of the busiest we visited, maybe it seemed that way because of its size, with not enough space for every curious traveler stopping by. No doubt, worth the visit, and it’s just around the corner of Ribeauvillé. 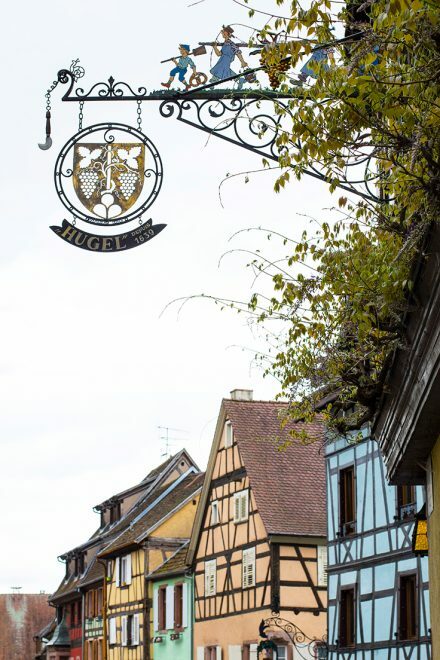 For more information on Riquewihr, visit the city’s official website. If you want to see a fairy tale village off the beaten path, you can’t miss Barr. It’s small, but incredibly pretty, probably as much as its popular neighbors, though minus the wave of tourists. Here you can easily snap some pictures of empty streets and take your time! For more information on Barr, visit the city’s official website. 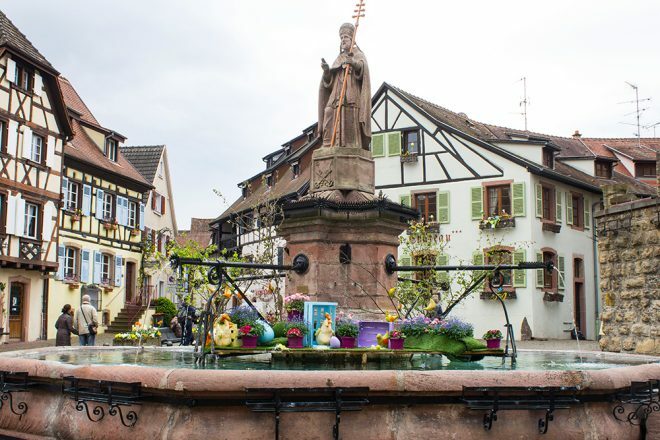 The capital of the Alsatian wine is the most popular village of the region, and it’s easy to understand why, the water canals running through the city makes it even more charming. Boat rides are possible, so is eating by the water. There are more options for restaurants and cafes than other villages, and on the weekend there is an open air market on the main square. 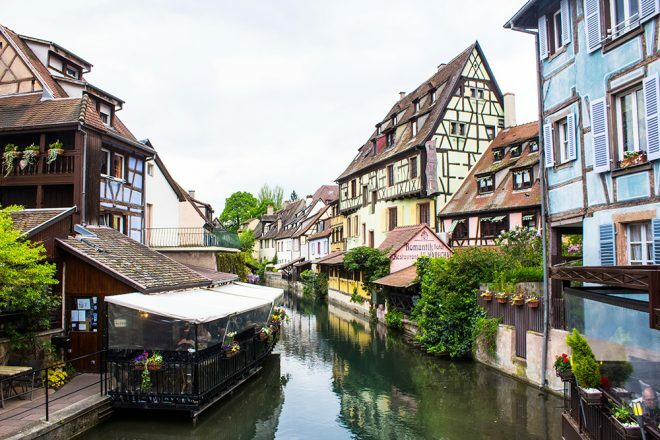 Colmar is the busiest of the 6 on this list you can visit, and it is also the most expensive for accommodation and food, but at the same time, the largest of them all. 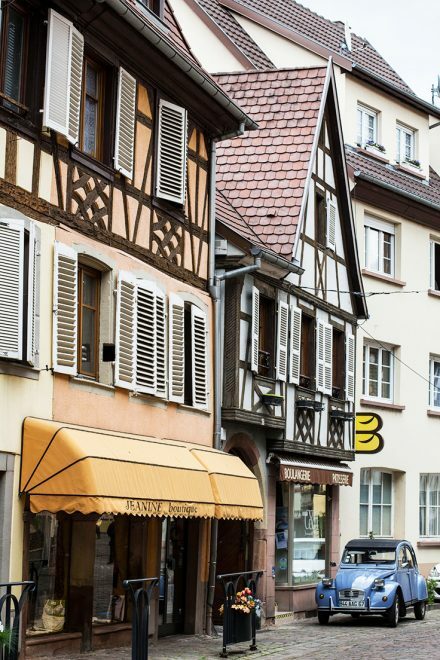 For more information on Colmar, visit the city’s official website. 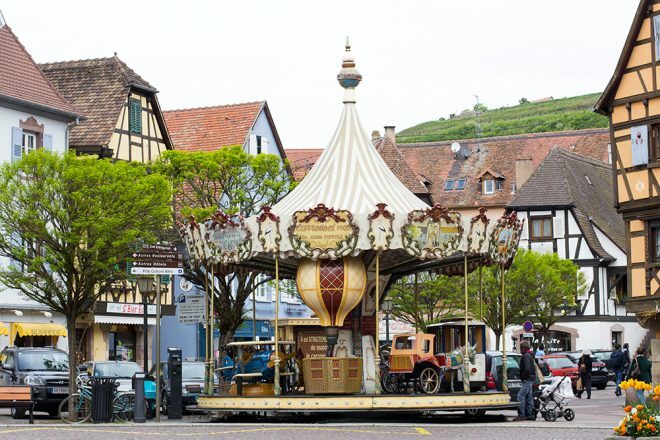 ♥ The best way to visit the Alsace wine route is by car, you have more flexibility to explore the villages on your own time and preference. Otherwise, it’s difficult to move from one village to the other. ♥ Staying in one of the popular villages can be expensive, a great idea is to find accommodation in any village along the route. They are all near the other, so it doesn’t make a big difference where you are staying (if you have your car). Compare prices and book an accommodation here on Booking.com. ♥ You will notice that when it comes to food, the villages basically offer the same options with very similar prices (which by the way aren’t so cheap). If you are looking for food other than the local traditional dishes, you will need to get out of the city centers. ♥ It is possible to visit between 3 – 5 villages in one day, it all depends on you. We liked to stay as long as we could in each village, but some of them are so tiny that you can walk them entirely in 1 hour. ♥ Parking in the cities is fairly easy. We managed to find parking easily in every village, and what’s even better: free. In case you aren’t lucky as us, there are several paid options too, all near the historical centers. 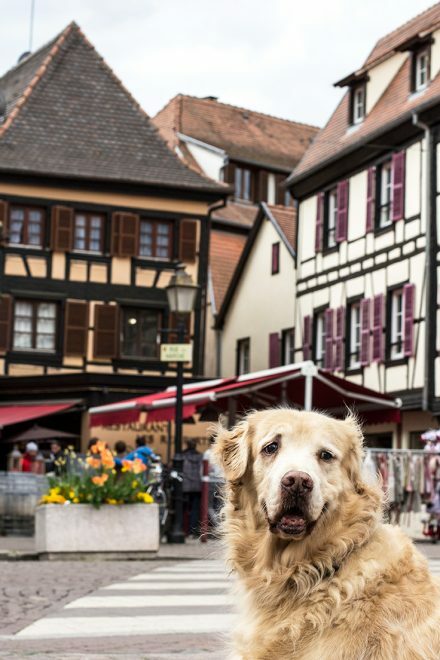 ♥ Traveling with a dog: we found that people in the villages are very pet friendly and were impressed by how many people take their furry friends to the region. Dogs are welcome mostly everywhere, however, historical sites and the usual places (pharmacies, bakeries and supermarkets) are a no no. We took Enzzo everywhere we went, and we were welcome in every restaurant we entered. 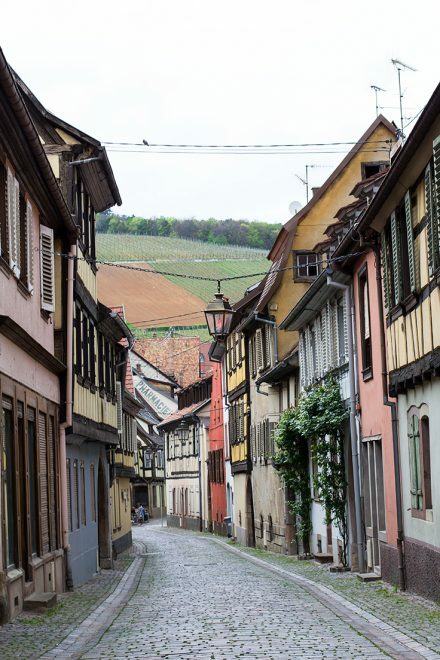 The Alsace wine route is one of the most romantic places I have been to here in Europe, it seems like every corner screams love. Impossible not to fall in love with the region! This post contains affiliate links. If you choose to book through any of these links you will be helping to maintain Packing my Suitcase with no extra costs for you. We’re going to be doing this exact road trip later in the year!! 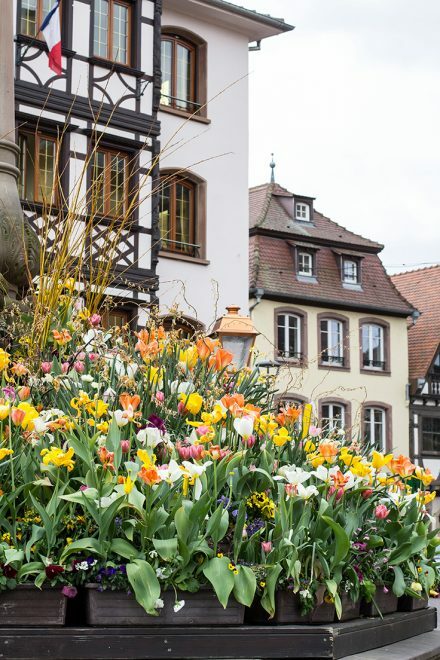 These towns are so stunning, I can’t believe I haven’t been sooner, but in my defense, I’ve been to Strasbourg and Colmar! 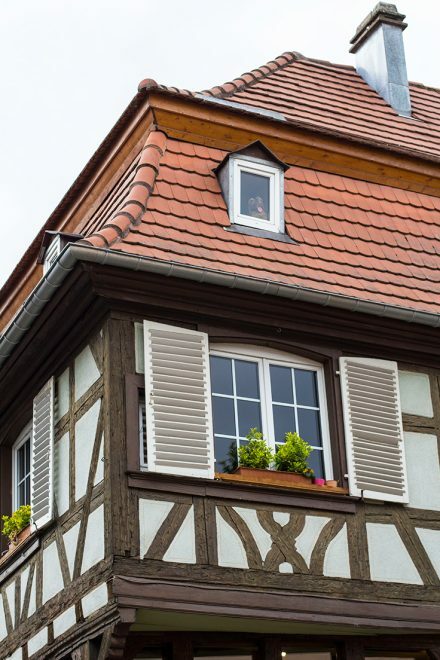 Thanks for pinning to the half-timbered board!